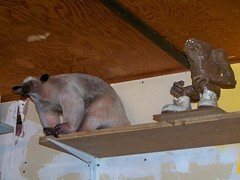 We have now finaly patched all the holes Stewie made in the walls, next is painting. 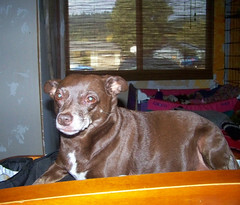 She is now 16 pounds but is on lean beef now and has topped off at 16 so all is well. 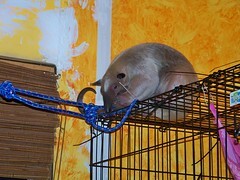 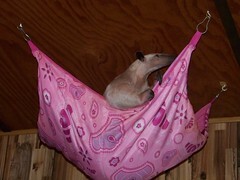 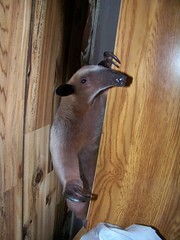 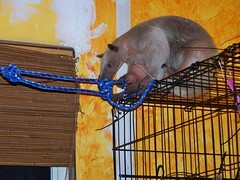 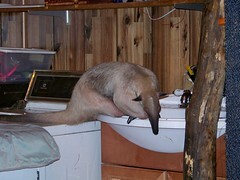 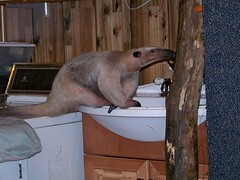 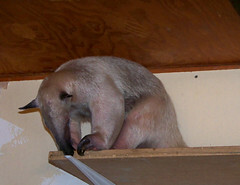 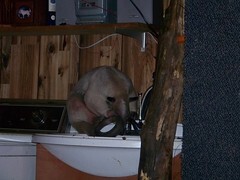 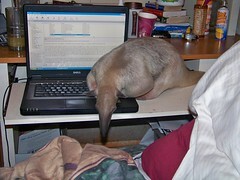 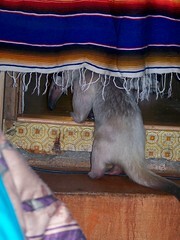 Did not know that Anteaters were pets. 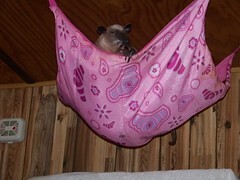 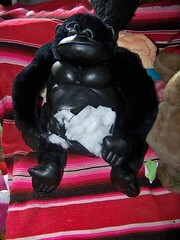 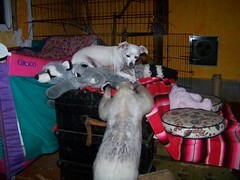 Thanks for taking care of her and the other critters there.